I hope you all had a fabulous Christmas!! Christmas Eve my honey and I went to this really cool retreat/camp center, and just walked around, and explored, and just had time alone together. These are covered wagons, with 8 beds inside. Ahh, to be a kid again! These Teepee's also sleep 8. Then on Christmas my boy's Mother had them in the morning, and we got them around 11. We had a great Christmas with them! Christmas evening we went to my honey's Dad's house. Heading out on Christmas Night! And now, for the BEST present ever!! 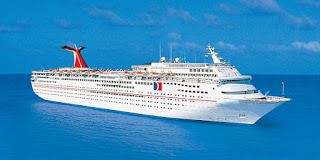 My Christmas present from my honey is a CRUISE TO THE BAHAMAS!! 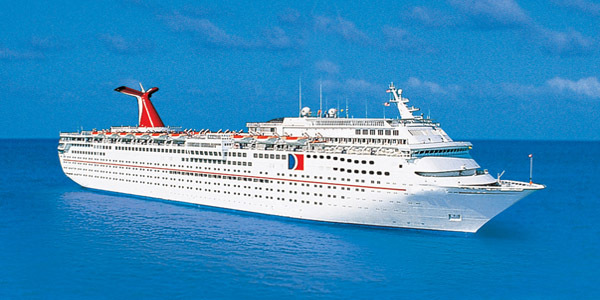 We'll be going on the Carnival Fascination in February, for 4 nights and 5 days. I have NEVER been so excited about anything!! This will be the first time either of us has ever been on a cruise, so it'll be even more special. So, my goal is to keep on running, begin my 3 week juice fast today, and wear a bikini for the first time in my life on our cruise!! Have you ever been on a cruise? Any advice for me? The winner for my Tropical Traditions Giveaway is David L. I have sent you an email! Awesome!! I've never been on a cruise. My favorite gift was a Pandora bracelet and beads from my hubby! He picked the beads out himself. What a sweet present, especially since he picked out the beads himself! Ohh sounds so much funnnnn... have great holidays and tell us more about the cruise once ur back! Thanks, Gauri! I sure will! That's so awesome! 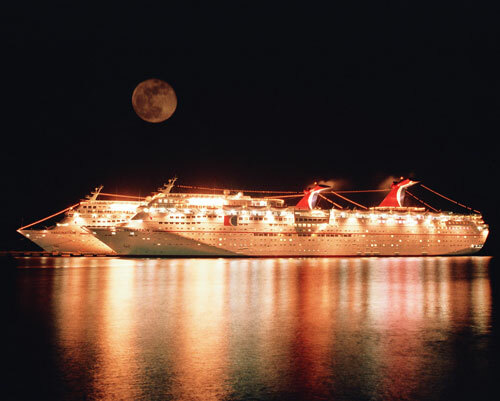 I dream of going on a cruise someday......someday. :) What a sweet gift from your husband! So thoughtful! Hopefully you'll get to someday too! Yes, it is!! I've always wanted to go on one! I have never been on a cruise. How fabulous. Good job honey! How fun!!! You guys will have a blast! Good luck on your juice fast! Sweet!!!! 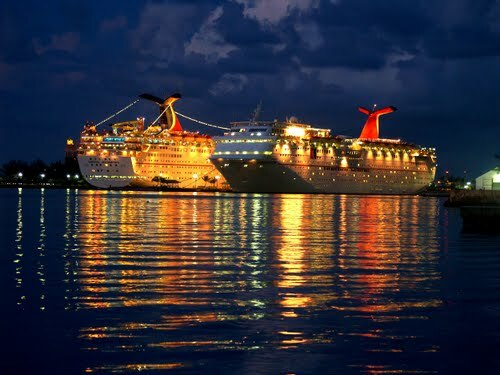 I have never cruised, but I have friends who swear they will never vacation any other way. We got a good tv, finally...so that was a gift to all of us from us. Since I only watch biggest loser and big bang theory...I think I got the short end on this one. But the old crappy tv will be hooked up infront of the treadmill with a dvd player for me so that's a good thing! Maybe I'll break my 40 minute dreadmill world record?! Nice, Jess! That's funny, Biggest Loser is pretty much the only thing I watch too (well, besides the news)! I can't wait until it starts again! I hear ya about the dreadmill...ugh. Ooh, your cruise sounds like so much fun! Have a great time! Super jealous right now! I've only been on one cruise and it was fun. Don't get sucked into the food buffet trap. Eat in the "fancy" restaurants for sure. Have fun! Oh, that's good to know! What's wrong with the buffet though? Is it just not as good? I have never been on a cruise and never will. I am terrified of the water!! But YAY you!!! What a great gift! How exciting!!! Lucky you! 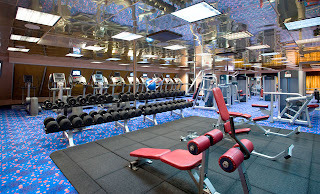 Never been on a cruise so no advice expect to rock your bikini!!! So exciting! Can't wait to hear all about your cruise. I've never been on one. Well, not a real one anyway. Good luck with your juice fast. Love your zest for life and am so inspired by your journey-- thank you for sharing both of those. You are so stinkin' gorgeous and I'm SUPER excited about your cruise - YAY! You're goin to have a blast!!! Since this is your first cruise and you may very well get a little nauseated the first night - go to walmart and get SeaBands. They are near the dramamine. You can wear them during the day or night and it's all done by pressure points. Best little invention ever although slightly dorky looking. But better that than seasick! If you plan to drink any alcohol- dramamine is a no-no. The buffet food is mediocre. It's not gourmet and some things are left to be desired, but it's good for breakfast/lunch. The chicken tenders are always good! 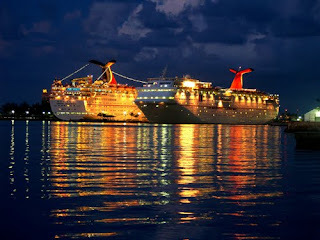 Definitely do dinner in the dining rooms and one night at the nice restaurant on board. Are you guys planning on booking any excursions? Ok, I will get some seabands- just in case! Good to know about the food too! 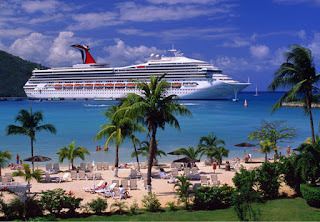 Yes, we've booked 2 excursions, one in Nassau and one in Freeport. One of them is to a private island, and the other one is taking a tour of gardens and waterfalls- they both got great reviews. Oh my gosh, what a great Christmas present! 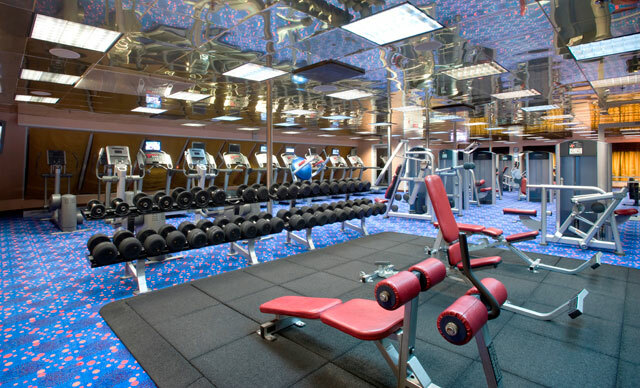 You guys will have a wonderful time on the cruise. We went on a cruise for our honeymoon and didn't get seasick at all. The ship is so huge it barely moves. Once you get your balance (you do sometimes teeter a little) you forget you're even on a boat! Have a BLAST! I DESPERATELY want to go an another one with my honey. Well, she doesn't know I exchanged it! Lol! That's good to hear that you didn't get seasick, hopefully we won't either! You should go on another one! I have a feeling we're going to have more cruises in our future. Thanks, girl! !